Attending races at Daytona International Speedway with my family have accounted for some of my favorite memories in life. It was there that I discovered the magic of NASCAR and just how fascinating this sport could be. Although it holds the most expensive TV contract in sports and billions of dollars are funneled into it annually, people refuse to let go of the stereotype that NASCAR is just a bunch of left turns and rednecks. My thoughts? You don’t know until you try. 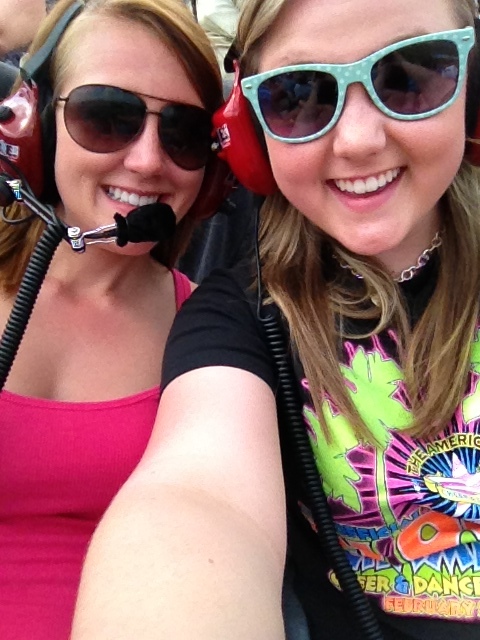 Here are 5 reasons why you should go to a NASCAR race before you write it off as boring. Everyone assumes NASCAR fans are just a bunch of hillbillies and Southerners dumb enough to be enticed by cars taking left turns. If you actually attend a race, you will find out otherwise. Yes there are people who embody or even embrace the NASCAR fan stereotype, but their are plenty more that go against it. 40% of NASCAR fans are female, and in the grandstands, you’ll find people of all races and income levels. If you want to find the rednecks, check the RV lot. Yes, ballpark food is great. But it also costs an arm & a leg. NASCAR likes to make things practical for people, so they let you bring in any food (or drinks!) you want while of course serving the traditional sports venue fare. Saving money & eating what you want – what’s not to love? Can you listen on Will Muschamp telling his players the game plan on the sidelines? Didn’t think so. At NASCAR though, you can. Drivers communicate with their crew through radio. By renting or purchasing headsets and scanners (pictured in the photo above), you can hear every word your driver says throughout the race. I’ve never spoken to anyone who has gone to a NASCAR race and said they had a bad experience with the fans. Because of the discrimination against their favorite sport, they’re excited to find out someone new has come to the track to try it out. They’ll sit next to you & explain answers to every question you have, no matter how elementary the concept. Try asking a Red Sox fan at Fenway what a double play is & see the cold stares you get. No sport has friendlier fans than NASCAR. Ask any NASCAR fan what they love about the sport and one of their answers is sure to be “the speed.” Yes you know the cars go fast. But they go a whole lot faster than you think! You can’t comprehend it until you witness it for yourself. Thanks for pointing out that NASCAR fans are notoriously friendly, and won’t mind answering any questions you may have about the race. My husband and I have been looking for new and exciting date ideas to keep things exciting. A NASCAR race sounds like it’d be different, fun, and welcoming. Thanks for sharing this great info about NASCAR races!